It was very sunny on Sunday morning, in Karang Tengah village, Marga Tiga, East Lampung. May 13th, 2018 at 7.30 PM, Praise and Divine Healing Service (KPPI) at GPPS Hosana was held. Beginning with the worship led by a worship leader. Later on the praises were raised with joy and zeal. 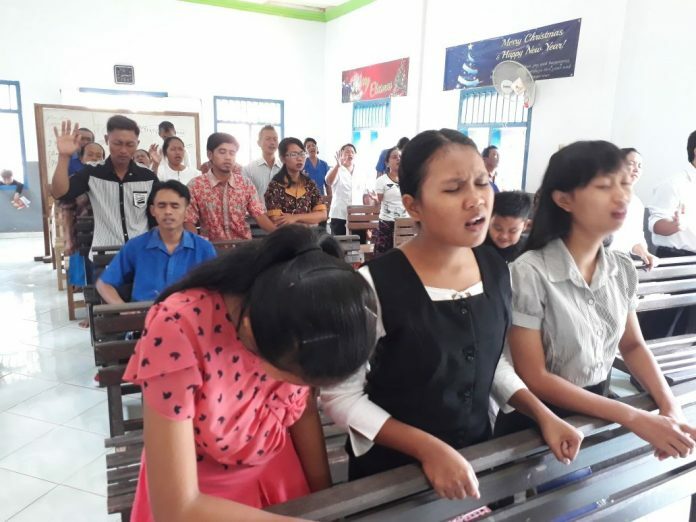 Before hearing the Word, congregations worshiped God earnestly and they raised their hands to the Lord. The presence of God was felt by them. 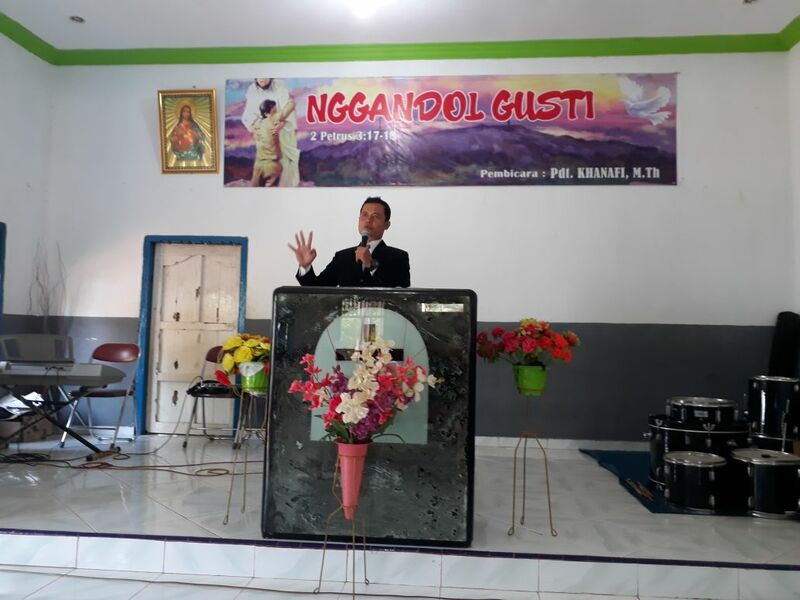 Mr. Jones Sinaga from KPPI team Jakarta delivered the Word of God from Matthew 14: 13-21. God did a wonderful thing to many people. There was an amazing miracle. God was able to give what they needed, He is very powerful. Jesus hung on the cross, so that we are saved. He wants our lives to be victorious every day. We need Jesus, we need to repent, if we have been far from God, we must return to God so that our hearts will be restored. We must come to Jesus because He loves us. 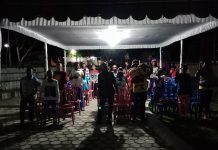 Then the new born challenge, all the congregations of which 46, raised their hands and accepted Jesus as the Lord and Savior. Ms. Rutch Helena from KPPI team Jakarta also delivered the God’s Word from Isaiah 53: 3-5. The Lord Jesus died on the cross not only to redeem our sins, but He also bore our sicknesses. 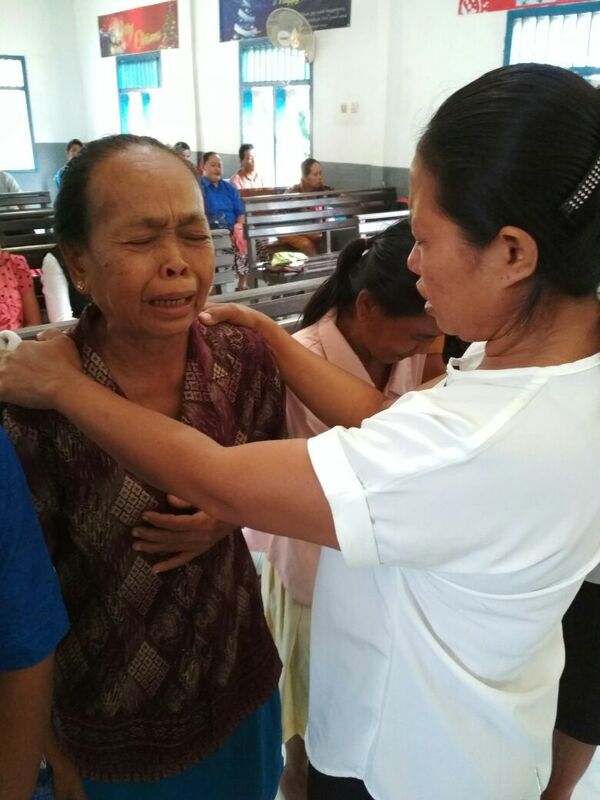 The congregations were invited to believe in Jesus, their illnesses would be healed by having faith in God and He would perform miracles. 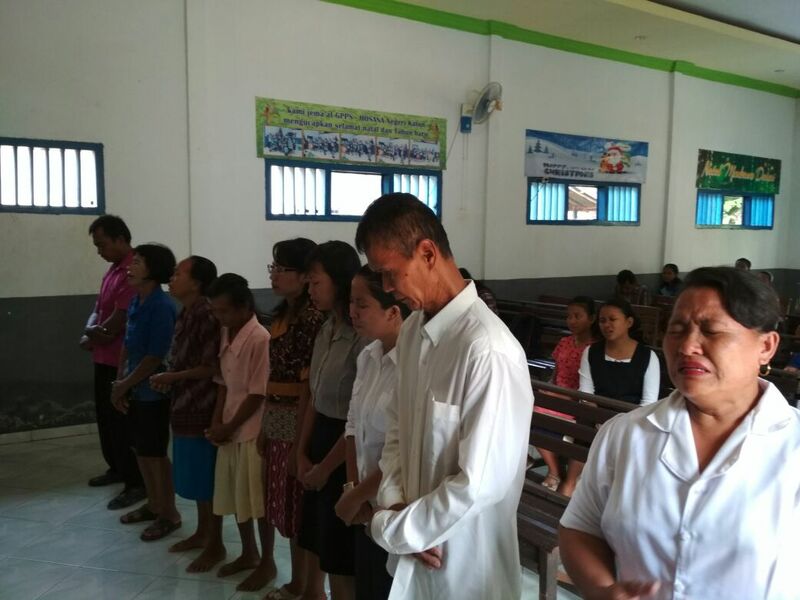 Afterwards the healing prayer, the counselors who have been trained came forward first, then 9 sick congregations came forward too. As they stood, they were praying with tears, because they wanted to be healed by God. 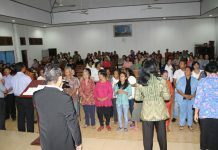 Each counselor laid hand on the sick and 5 people were healed from headache, stomach ache, sore eyes. A woman who had high-blood pressure and dizziness, when coming she felt dizzy, but after being prayed she did not feel dizzy anymore. There was a stroke man, his right hand could not be lifted and could not squat as well. 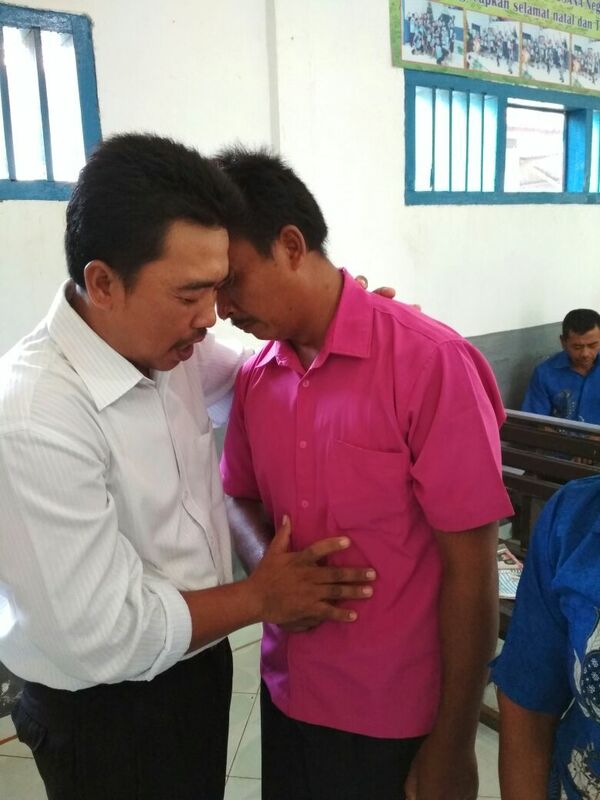 He put his trust in Jesus and after being prayed, his right hand could be lifted and could squat. After that the counselors gave testimonies, how they used by God to pray for the sick and they healed. They were deeply touched as God used their lives. Followed by God’s servant challenge, there were 5 people longing to serve God. KPPI then closed with a prayer by the Pastor of GPPS Hosana Rev. Yeremia Eko Wibowo. Blessed be the Lord who has visited His people and healed them!